Tips for choosing the best hotel in Positano for a memorable vacation! Plan your holiday in Positano and choose the hotel that suits your preferences, with an amazing view or located by the sea. 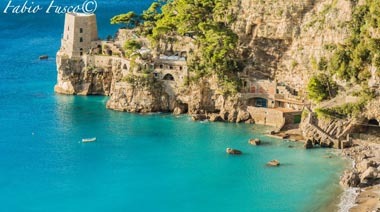 It is not easy to find the right hotel to enjoy an unforgettable holiday, the choice is highly dependent on your needs and preferences, if you are looking for a hotel in Positano’s center or directly on the beach, that is scenic or economic, that offers quiet rooms away from noises or very obliging staff. Below you will find useful information and tips to let you choose your hotel in Positano. Is it better to choose a hotel in Positano by the sea or in the centre? Positano is famous for its natural beauties and for its wonderful sea, considered several times one of the clearest and cleanest in Italy by winning multiple times the coveted Blue Flag (award for the cleanest sea in Italy), choosing a hotel in Positano directly on the beach is definitely a good choice, although the hotel was near the sea would let you in a few minutes to reach the beach and spend a wonderful day of relaxation on the beach, sipping a drink or reading a book. If you are looking for a hotel near the beach in Positano it is important to know that you can search for accommodation not only close to Spiaggia Grande, but also a hotel in Fornillo Positano, a beautiful beach which is 10 minutes from the center of Positano. Often the hotels by the sea in Positano or even close to the sea are not the cheapest ones, so you can always choose a hotel in the center of Positano, in fact you should know that Positano is not a big city but a small town, and even if you book a hotel in the center you can reach the beach in a few minutes along the typical narrow Positano’s streets spending some time shopping or stopping in some bar or bakery that offer local products and flavors of southern Italy. 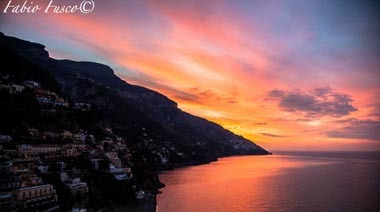 Staying in a hotel in the center of Positano does not mean sacrificing the fantastic scenery, hotels often offer the opportunity to book a sea view room, imagine your awakening with breakfast in the room enjoying the fantastic scenery of the Amalfi Coast! It will surely be an unforgettable holiday!!! Are there in Positano hotels with private beach? Few hotels in Positano can boast of having the private beach for the exclusive use of its guests, are often first-class hotels that offer many amenities for the most demanding tourist, rooms with breathtaking views, lavish breakfasts, friendly and professional staff, private parking, spa and swimming pool, are just a few features that make these hotels in Positano unique and enchanting places. Only very few hotels have the private beach for their guests, while many benefit from very advantageous agreements for the entrance of the seaside establishments that are located on the beach; Always ask if the cost of access to the beach is included or not in the price. Alternatively, you might prefer a Positano hotel with swimming pool, which is not exactly the same thing as going to the beach, but it can be a good alternative to the sea to enjoy the peace of mind and avoid the bustle of the beach. If you love the relaxation and wellness treatments will not have doubts to choose a hotel with SPA in Positano, the more attentive Positano hoteliers to customer needs, have created over the years a good offer for lovers of wellness holidays in Positano, small hotels usually have simple sauna units, while the 4 and 5 star hotels often have dedicated areas with the possibility of the wellness treatments in their hotel with SPA in Positano. Positano is the “vertical city” that extends along the side of the mountain above, there are no large areas and consequently the parking zones are very limited, if you’re planning to arrive by car you might want to ask if the hotel in Positano has a private parking or has agreements with nearby parking. In general, the hourly cost to park a car in Positano is very high and in high season can be up to 5/6 Euro. Make a reservation at a hotel in Positano taking advantage of a last minute offer could be a useful tactic to save you some money on your holiday in Positano. You have to know that often the most popular hotels in Positano do not offer last minute package, so do not expect to find the hotel of your dreams in Positano at a low price, but settled for a cheap hotel in Positano the right balance between quality and price . 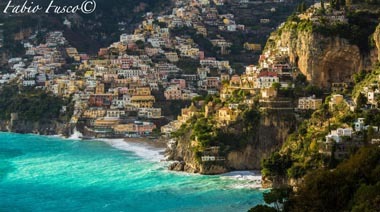 An offer of a hotel in Positano or a hotel with cheap rates may take a long time to research, also consider to look for a house or a bed and breakfast, are often a good alternative to a cheap hotel. How many stars must have a hotel in Positano for a hassle-free vacation? Not everyone knows that the characteristics that must be met hotel to attribution of the number of stars varies according to the State where the property is located, in Italy until 2009 was regulated by the regions, then the Official Gazette of the Italian Republic has established by a law the parameters to be met based on the number of stars awarded. Below we list the minimum services based on the number of stars, which will surely help you in choosing the hotel in Positano. A one star hotel in Positano will offer a reception service twelve hours a day, daily cleaning of the room and a double room with at least 14 square meters. A two-star Positano hotel also adds an area where to eat and the lift. In a Three-star hotel in Positano you will find assistance in a foreign language, the reception open at least 16 hours out of 24, at least 12 hours of bar service and rooms with a private bathroom. Let’s climb the category and find four stars hotels, with customer service in at least two foreign languages, reception and bar open at least 16 hours on 24, luggage porter service, double rooms of at least 15 square meters and bathroom of at least 4 square meters. Here we find the top hotels, 24-hour front 24, assistance in at least three foreign languages, night porter service, bar open 16 hours on 24, parking and rooms of at least 16 square meters. There are often other services such as spa and private beach, are the luxury Positano hotel where everyone dreams of staying at least one night. 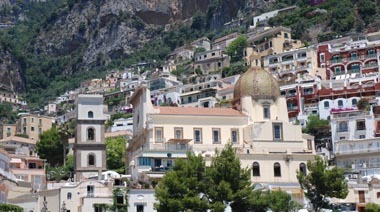 Do you travel with children and are you looking for a family hotel in Positano? If you want to spend a family vacation with your kids in Positano you will also find hotels that offer services for children, if traveling with small children always ask if you can have a warmer in room or whether you can have a special menu to suit the children. Often children up to 3 years old are free, while for older children you have to pay the extra cost for an extra bed. Many hotels also offer the baby sitting service provided by friendly and knowledgeable staff that will allow you to leave your little ones in trusted hands and enjoy a dinner by candlelight. Are the pets allowed in a hotel in Positano? Even in Positano you can book a hotel that accepts pets like dogs or cats. It is better to clarify that some hotels explore the possibility of hosting your pets based on their size or even differentiating between dogs and cats. Always best to ask if they are provided all the amenities for dogs and cats, as well as the nearby presence of a veterinarian or a dog / cat sitting service. Are you looking for a wedding reception hotel in Positano? Spend your wedding night in a hotel with stunning views of Positano is definitely the dream for all newlyweds, of course, the advice is to book the most beautiful room with a breathtaking view that is comfortable and offers lots of tranquility, perhaps even sure breakfast in the room and a bathroom with a jacuzzi to live on the first day as newlyweds in a fantastic hotel in Positano. Also many larger facilities also offer the possibility to book the hall for the reception, are often hotels with panoramic views to 4 or 5 stars, with a spacious lounge and a terrace overlooking the beautiful landscape where entertaining your guests. Is there a Hotel Hilton in Positano? If you are fond of the Hilton Hotel chain, I’m sorry to disappoint you, but in Positano currently is no Hilton hotel. But do not despair, there are actually a variety of facilities that offer the same services Hilton and perhaps even with more care and attention, book a superior category hotel and will not be disappointed! You were looking for a hotel in Positano in particular? Here is a list of some Hotels. The historic 5 star deluxe hotel on the Amalfi Coast, The San Pietro is one of the symbols of Positano with its fantastic views, exclusive services, star restaurant and private beach. The San Pietro Positano hotel is renowned throughout the world. Le Agavi Hotel in Positano is a 5 star hotel with private beach, quiet rooms, professional staff, is also an excellent location for weddings. 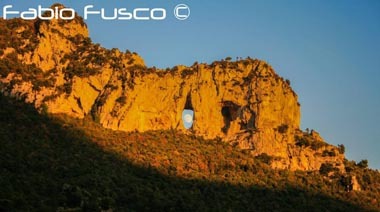 The hotel Covo dei Saraceni is unforgettable for those who want to experience the atmosphere of Positano and Amalfi. Exclusive, for its prime location directly on the Spiaggia Grande beach. At the Hotel Buca di Bacco, guests can enjoy a buffet breakfast in the lovely breakfast room or on the rooftop terrace of the Lions, dine in the elegant restaurant personally by Rispoli owners, or sunbathe on the comfortable beds of the Solarium in a dominant position on beach. La Reginella is a typical Mediterranean building situated in the heart of Positano. The complex is surrounded by picturesque landscape, surrounded by houses perched along the unique local shops. Hotel Poseidon, located on a rocky slope overlooking the sea of the beautiful Amalfi Coast, dominates the panorama of Positano with its prime location. The characteristic structure of the Hotel Pasitea terracing gives every room a spectacular sea view, enjoyable from their balconies is an example of Mediterranean architecture with its masonry, lava stone and wrought iron. The Hotel Vittoria is located high up in the Fornillo area, one of the oldest of Positano. From its perch has a wonderful view of the coast and the village and offers its customers the familiar hospitality and warm typical of a family hotel. Located among the picturesque streets of the historic center of Positano, Hotel La Bougainville is a small hotel, recently renovated, where contemporary design, functionality, modern technology and friendly family atmosphere are at guests' service. Hotel Pupetto is a 3 star hotel which is situated in the Fornillo area, also has a restaurant and panoramic rooms. Within walking distance of a beach resort where you can spend a wonderful day at the beach. In the white elegance of Casa Angelina will be welcomed in one of the most picturesque scenery in the world, where nature, art, culture, design and tradition combine to create a magical atmosphere in a relaxing and welcoming space. This hotel is located in Praiano just over 5 km from Positano.